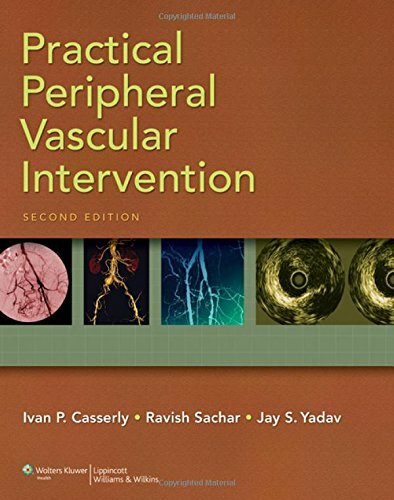 Now on its Second Edition, Practical Peripheral Vascular Intervention is a how-to guide to state-of-the-art vascular interventional procedures for all arteries and veins outside the coronary vascular system. Artery-specific chapters cover indications for interventional procedures, vascular anatomy, access, diagnostic angiography, and specific interventional techniques used by experienced practitioners. This edition encompasses recent developments in the field—including improvements in catheter, sheath, wire, balloon, and stent design, as well as the advent of distal emboli protection and other novel technologies. • Generously illustrated format (including over 300 large-size images) “shows” rather than “tells” trainees and clinicians the best approach to treatment. • Practical, how-to approach provides practical guidance to the interventionalist. • Authoritative contributions from editors who are practicing interventional cardiologists let readers benefit from both established and emerging technologies. • New content addresses venous filters, venous thrombosis, and central venous occlusion. • Expanded section covers advances in intracranial stenting. • Increased coverage of cardiac noninvasive modalities broadens therapeutic options. • Larger page size allows for larger and additional images.